This mineral plays an essential part in improving and maintaining optimal bone health, brain function, aging processes, and sexual health. It also aids in preventing cancer, treating Alzheimer’s disease, and reducing muscle pain. This vital mineral boosts bone health (prevents osteoporosis), relieves arthritis, improves dental health, and relieves insomnia, menopause, premenstrual syndrome (PMS), and cramps. Furthermore, it is important in preventing or treating obesity, colon cancer, acidity, heart and kidney disorders, and lowering high blood pressure. Magnesium helps boost the immune system, treat high blood pressure, prevent heart attack and asthma, give relief from alcoholism, and improve bone health. It also relieves cramps, and aids in managing diabetes, menopause, and pregnancy. Magnesium is very important in terms of lowering anxiety and stress and has been closely linked to giving relief from insomnia, due to its enzymatic role in releasing hormones that calm the body and induce sleep. Phosphorus is integral in reducing muscle weakness, improving bone health, and boosting brain function. It also helps in preventing aging, reducing sexual weakness, dental care, and optimizing body metabolism. As a vasodilator, potassium reduces the tension in the blood vessels, and ensures the proper distribution of oxygen to vital organ systems, while protecting against cardiovascular diseases. It can treat low blood sugar, regulate blood pressure, increase water flow in the body, alleviate muscle disorders and cramps, boost brain function, manage arthritis and diabetes, and treat kidney disorders. 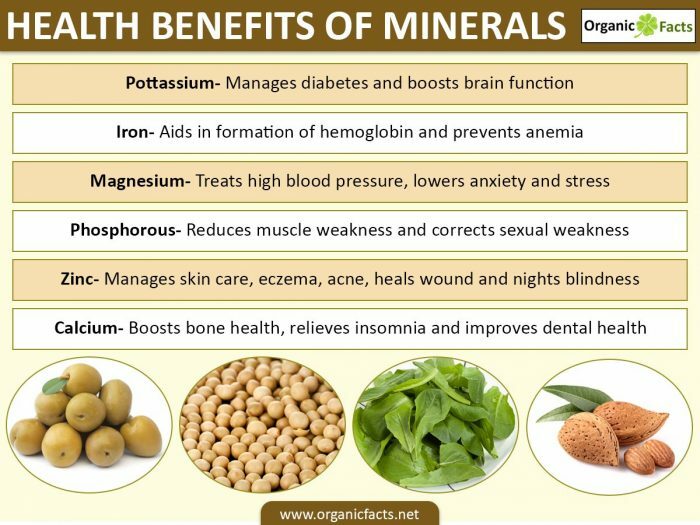 This mineral plays an important role in the optimal health of bones, skin, hair, nail, and dental health. It also gives relief from sleep disorders, atherosclerosis, and tuberculosis and promotes tissue development. This widely used mineral plays a key role in maintaining water balance, preventing sunstroke, improving brain function, relieving muscle cramps, and preventing premature aging. Iron’s primary role in the body is with regard to the formation of hemoglobin, which guarantees circulation of the blood and oxygenation to various organs. Without iron, anemia sets in and is manifested in muscle weakness, fatigue, gastrointestinal disorders, and cognitive malfunction. 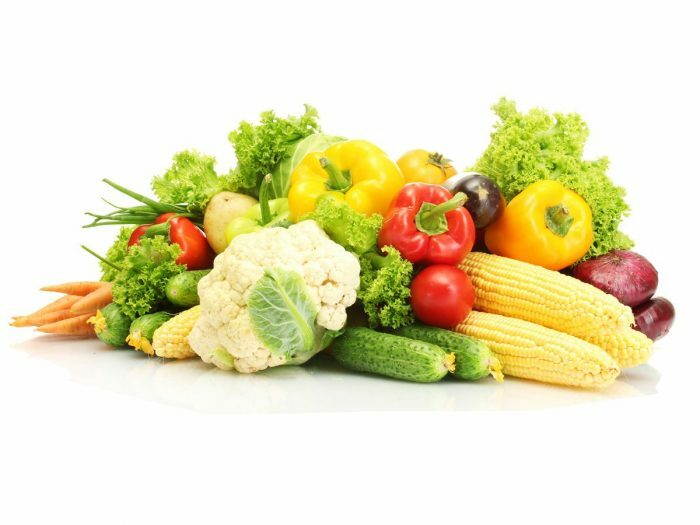 Apart from that, it is a key element for ensuring proper body metabolism, muscle activity, brain function, and the regulation of body temperature. Further, it also aids in boosting immunity and giving relief from insomnia and restless leg syndrome. It is an essential component of more than 10 important enzymatic functions of the body. Without zinc, the body will quickly lose overall function and results in a number of health concerns, including the inability to heal wounds, store insulin, fight off disease, develop proper growth patterns, as well as defend against a variety of skin infections. This mineral helps in treating eczema, acne, night blindness, prostate disorders, relieving cold, and managing weight. Zinc also ensures healthy pregnancy and reproduction. Manganese plays an important role in the management of body metabolism, prevention of osteoporosis, reduction of fatigue, reproduction, sprains, inflammation, brain function, and epilepsy. This mineral improves brain function, soothes arthritis, helps in skin care, eliminates throat infections, and corrects hemoglobin deficiency. It also prevents heart diseases and boosts immunity. It is commonly associated with the uptake of iron and the facilitation of a properly functioning circulatory system. This often overlooked mineral can alleviate goiter, fibrocystic breast disease, skin conditions, and cancer while improving hair health, protecting pregnancy, and improving body’s metabolism. This is a secondary form of iodine but is very important in terms of bodily function. It is involved in the overall thyroid function, and its deficiency can cause goiter. Iodide is vital for producing thyroxine (T4), without which, the body can experience a fall in metabolic rate and an increase in cholesterol levels. This trace mineral is important for glucose uptake in the body, so is particularly relevant to those suffering from diabetes. It increases glucose uptake by the cells, which stimulates fatty acid and cholesterol synthesis, and although both the things typically seem like negative components for health, they are actually essential in small levels for a functional, healthy life. Selenium might be a rare mineral, but its function is significant. It is one of the most powerful mineral antioxidants and prevents the formation of new free radicals by participating in various cellular reactions, which lower the peroxide concentration in the cellular body. Reducing free radical formation is only one of the selenium’s functions. It is also essential for bone growth, along with calcium, copper, and zinc.